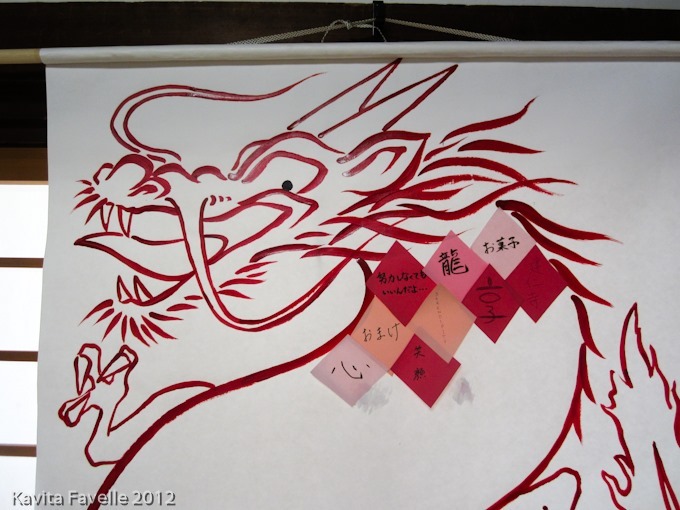 Part 1, Part 2 & Part 3. Kennin-ji is a historic Zen Buddhist temple, one of the ten Zen Gozan (Five Mountain) temples protected and controlled by the shogunate. 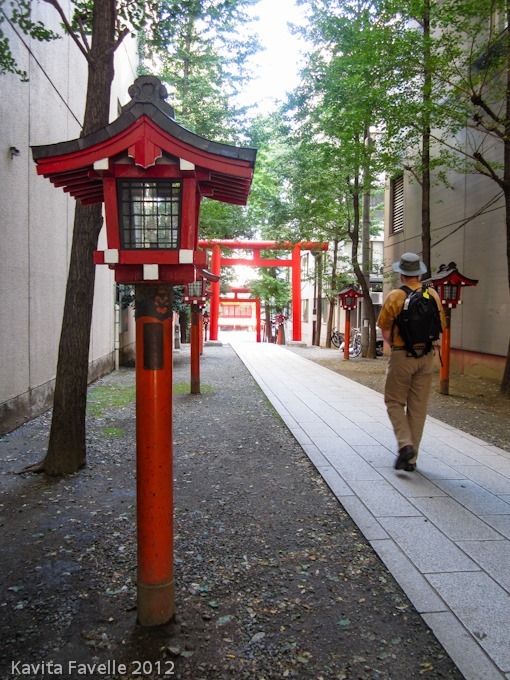 As much of the site was undergoing restoration during our visit, we didn’t explore much of the temple complex, but I did encounter a wonderful art project in one of the smaller buildings, whilst Pete explored the gardens. 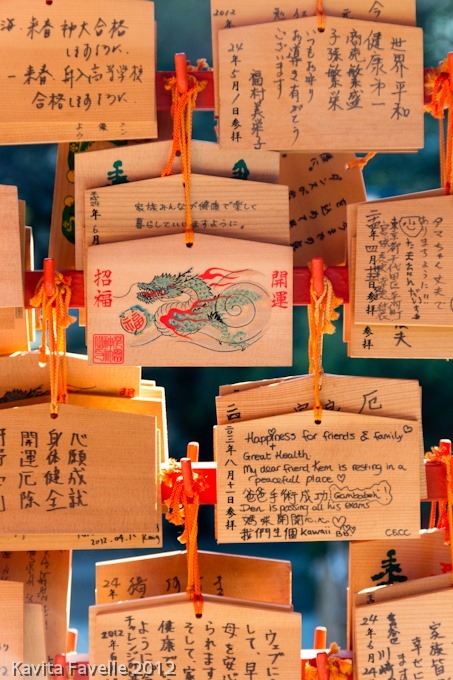 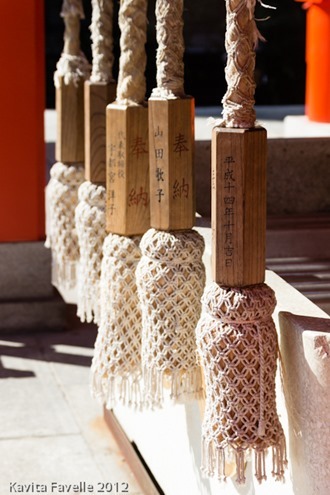 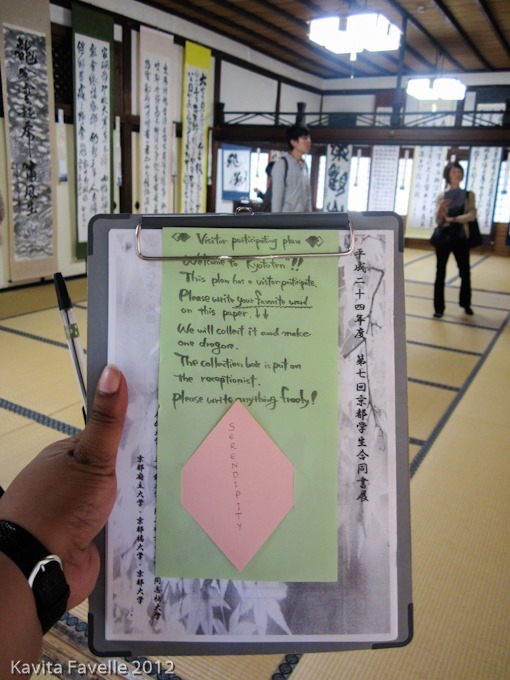 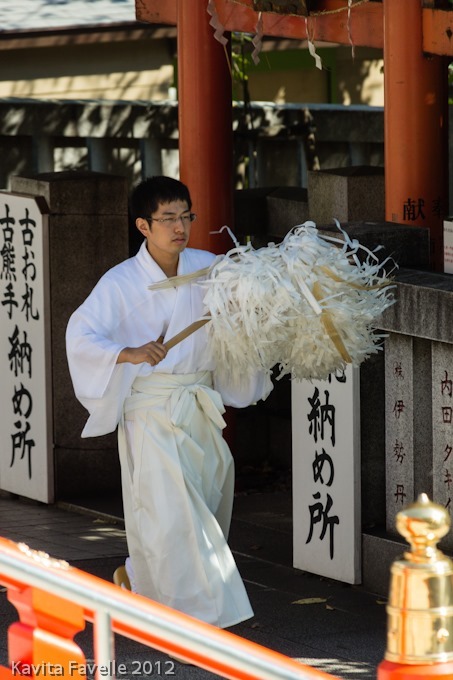 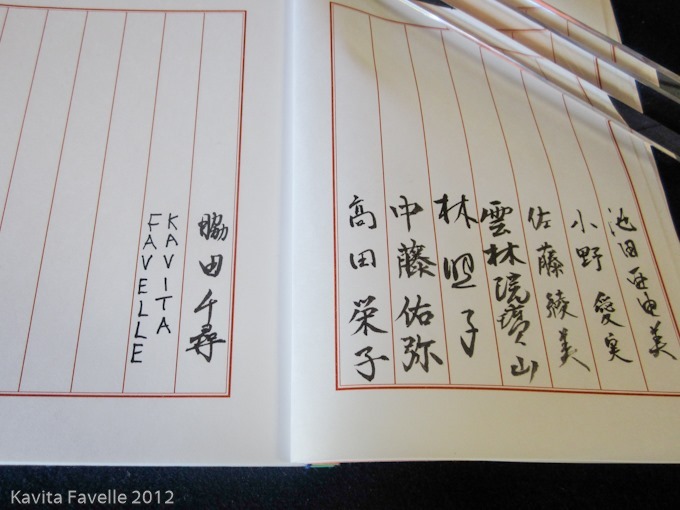 On entry, I was asked to sign my name into a guest book – it felt strange adding my name vertically, next to the beautifully written Japanese names. After admiring the calligraphy artworks showcased on the walls, I was invited to participate by writing my favourite word onto a diamond of paper. The head and outline of a dragon had been painted onto a large sheet of paper; the words provided by the visitors were glued in the body area, to represent the dragon’s scales. 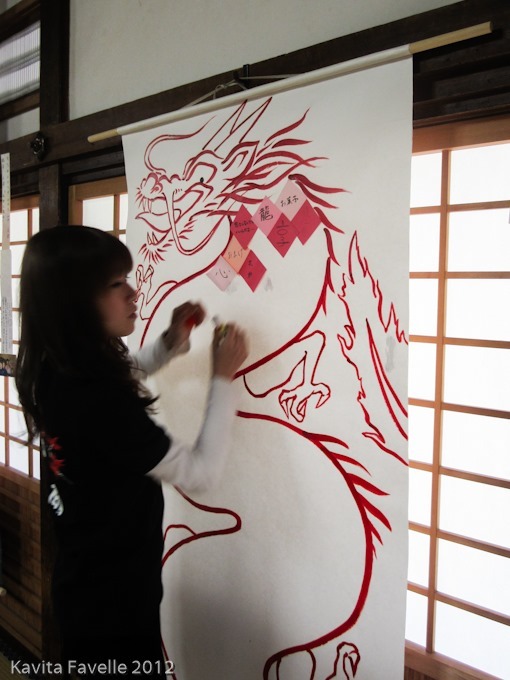 As no one spoke English, I couldn’t ask for any more information but it was fun to be involved. 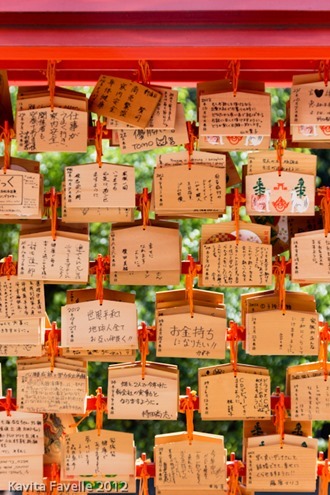 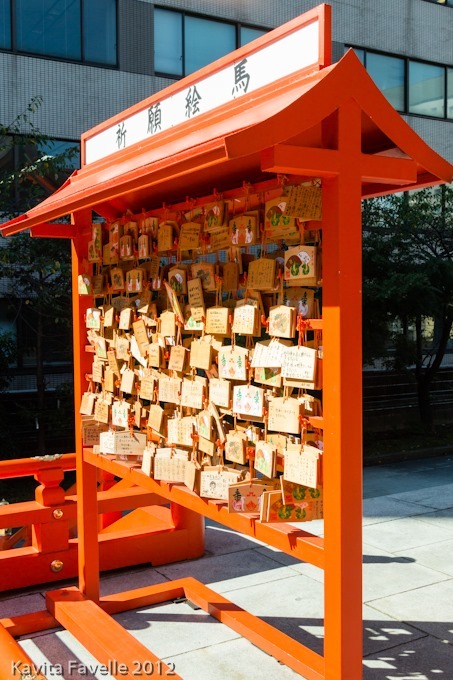 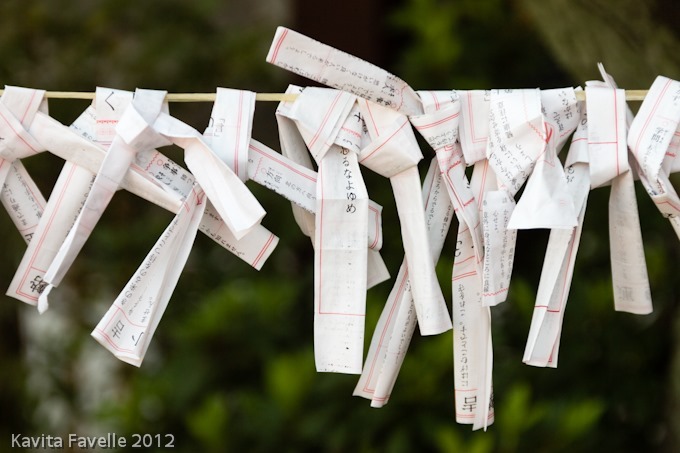 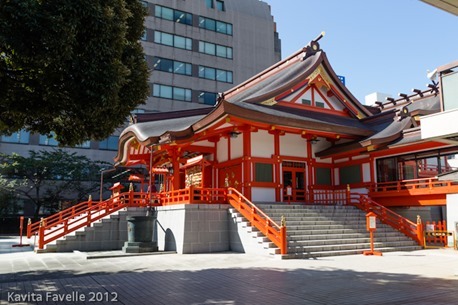 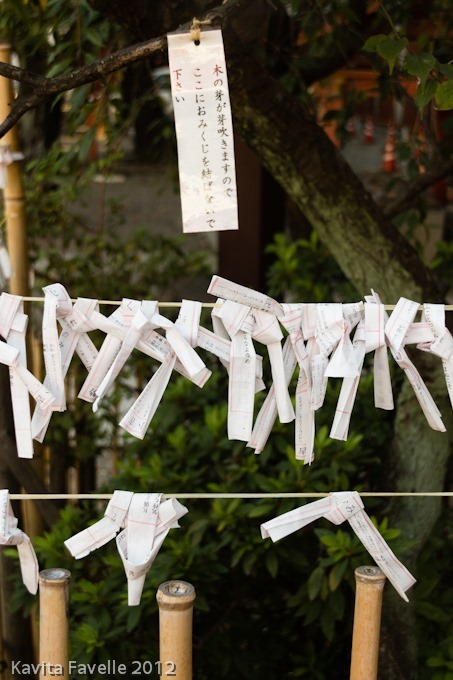 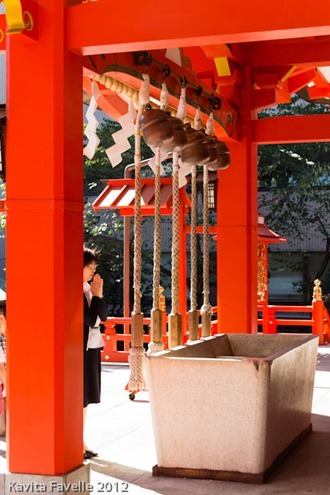 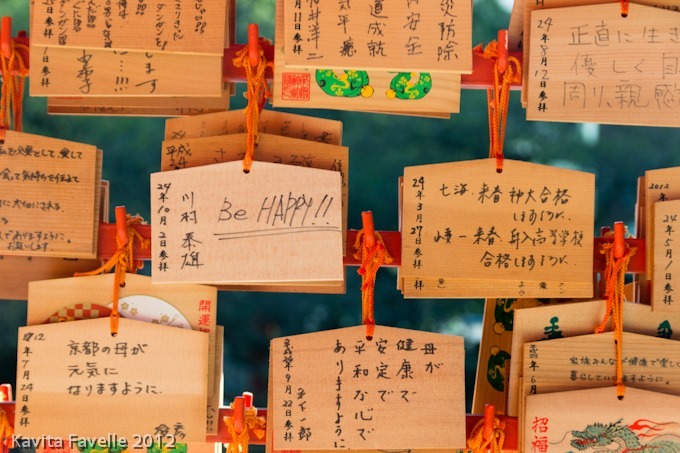 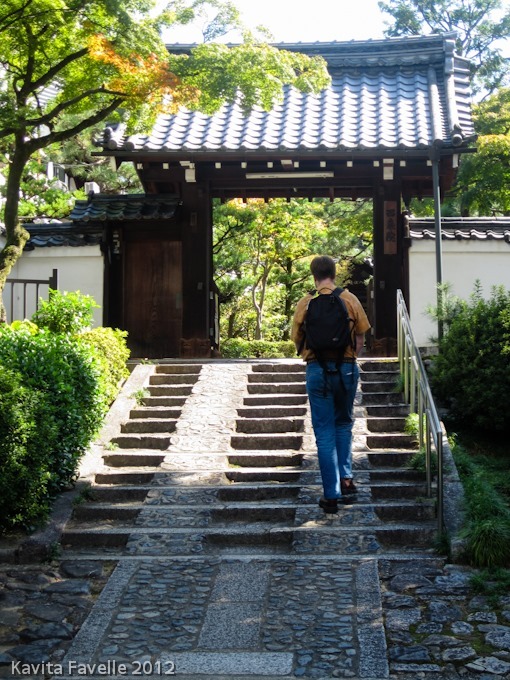 Surrounded by tall, modern buildings Hanazone Shrine is an oasis of calm in bustling Shinjuku. 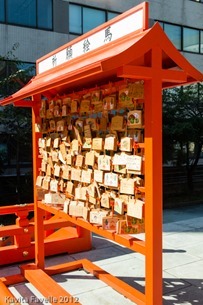 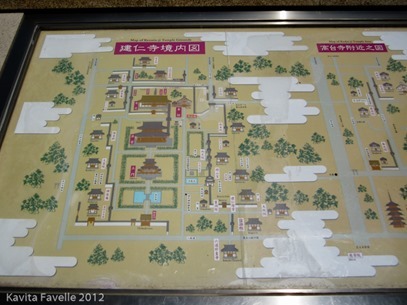 It is a Shinto shrine.